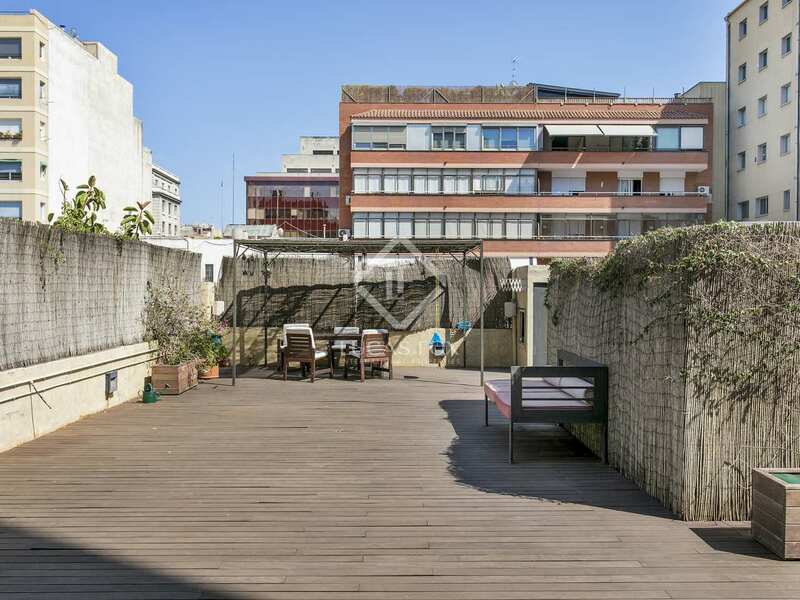 Spacious 5-bedroom apartment with a 100m² terrace for sale next to Rambla de Catalunya, Barcelona. 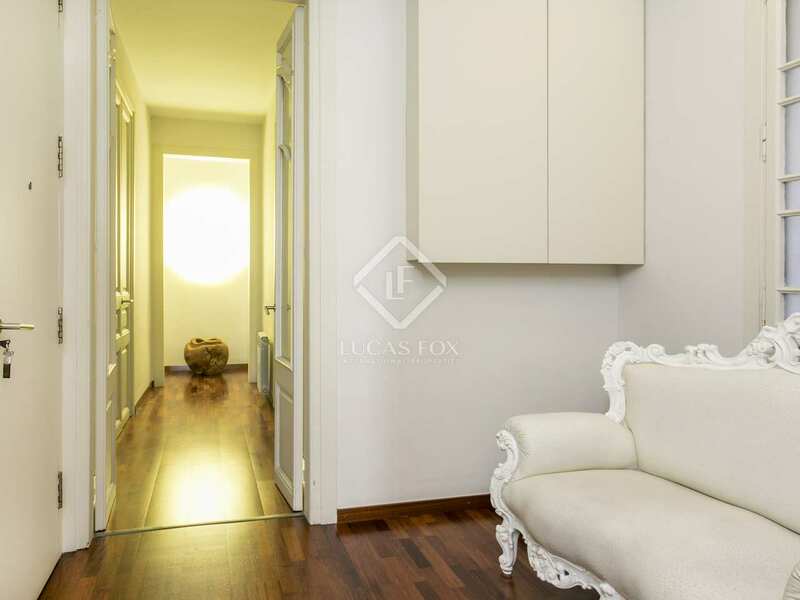 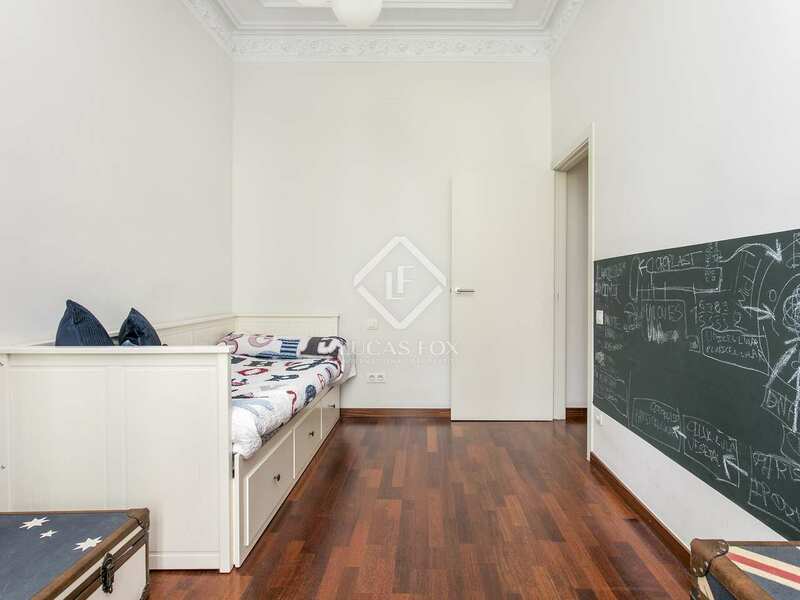 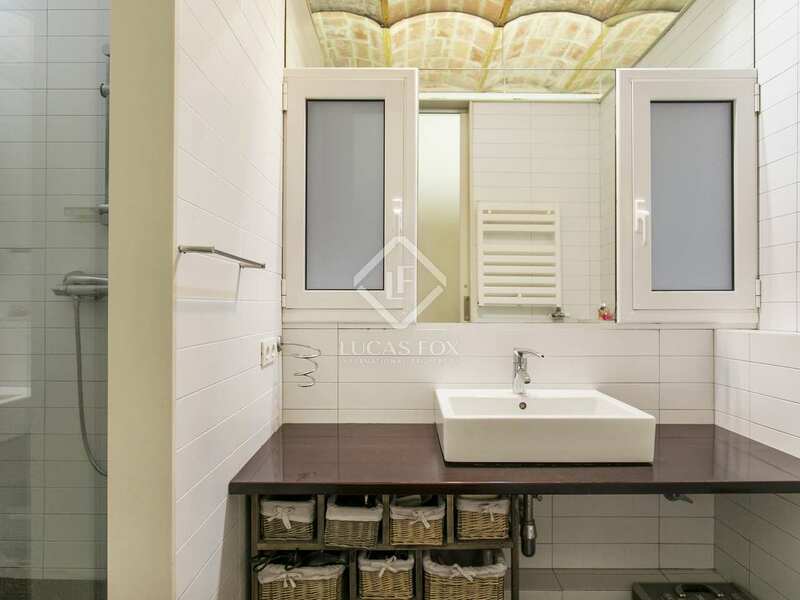 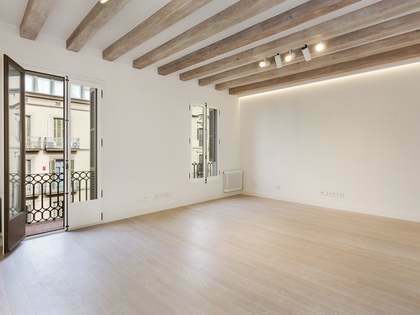 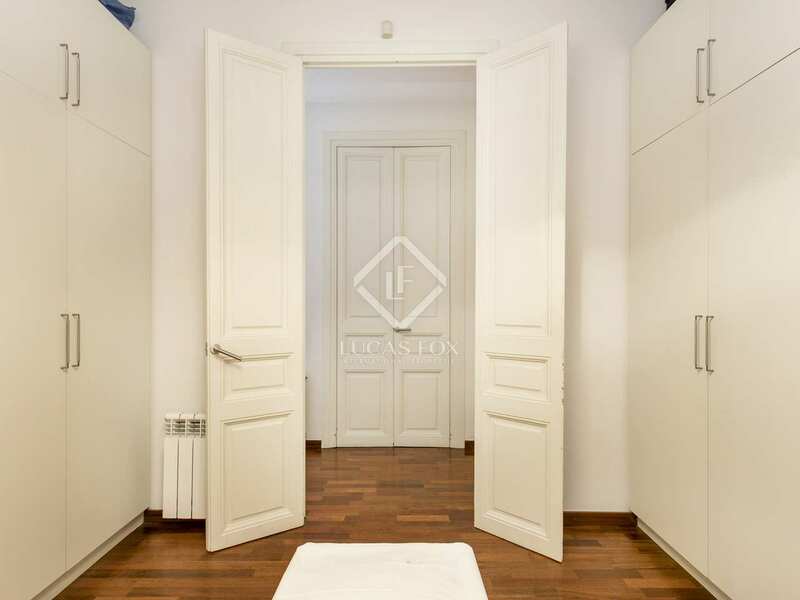 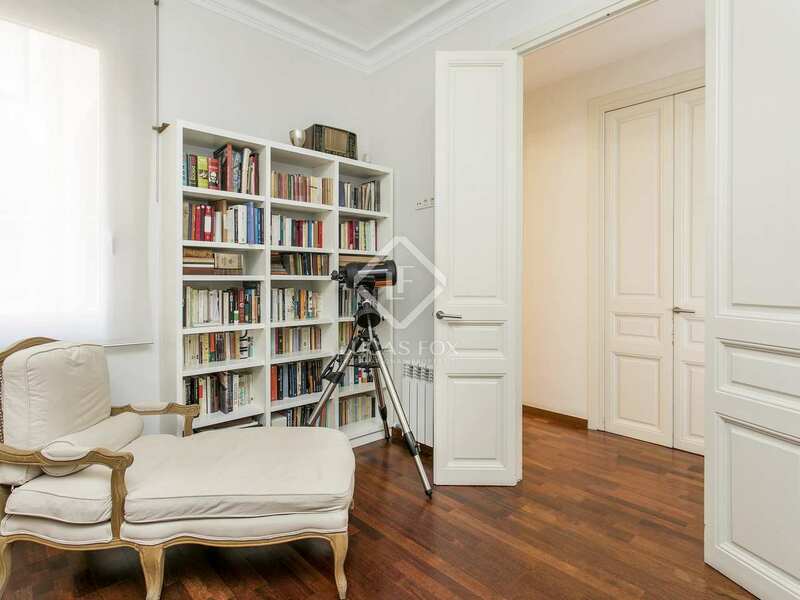 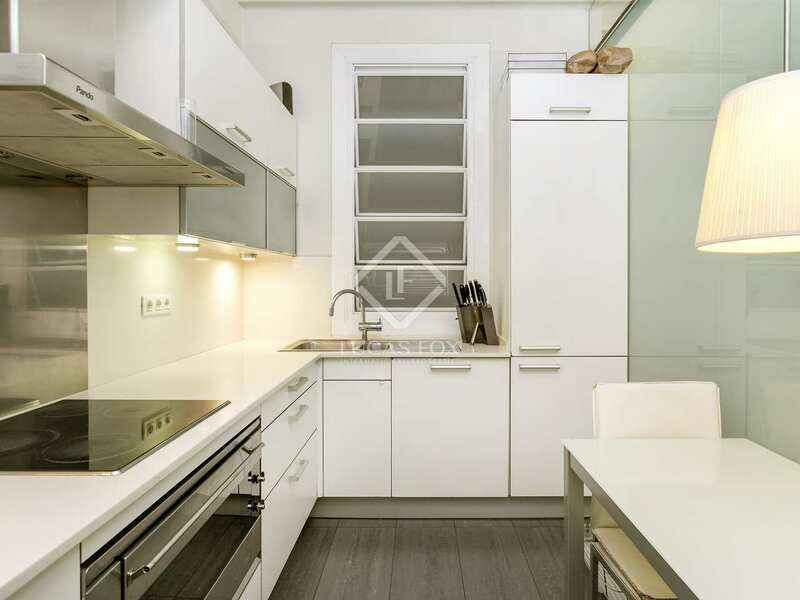 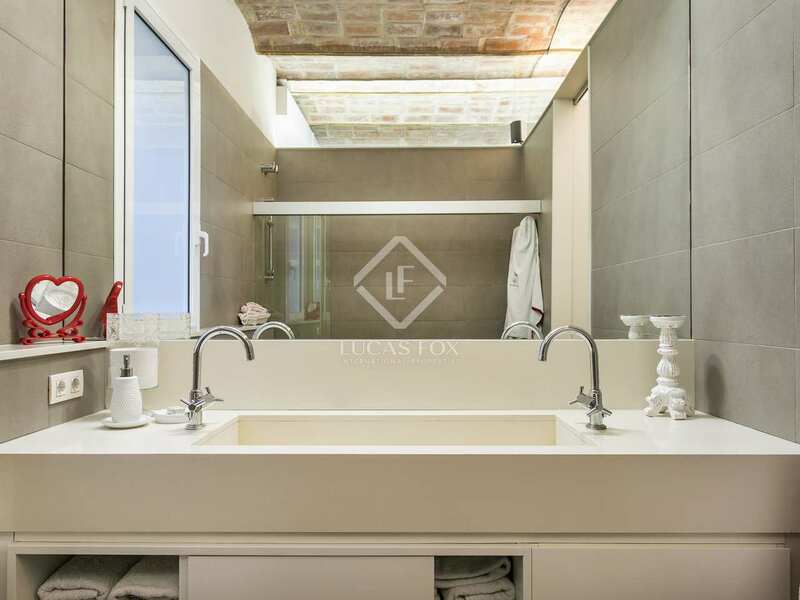 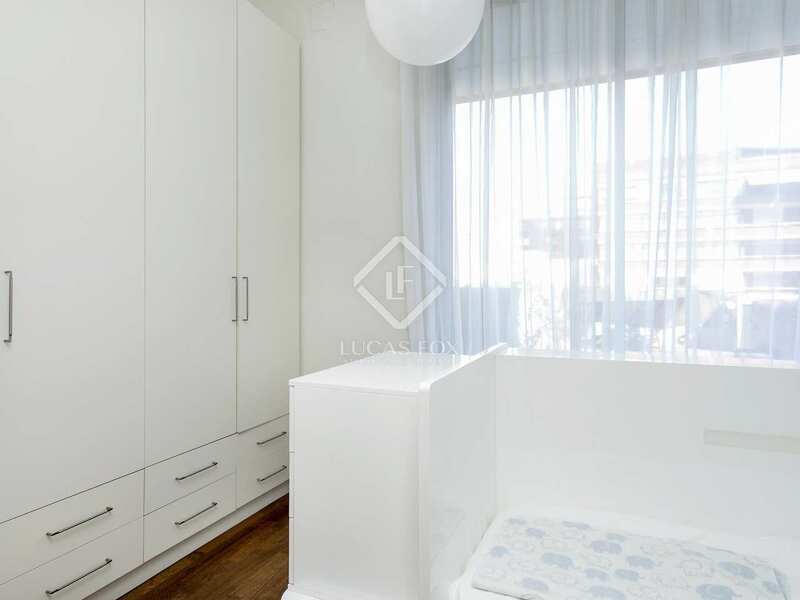 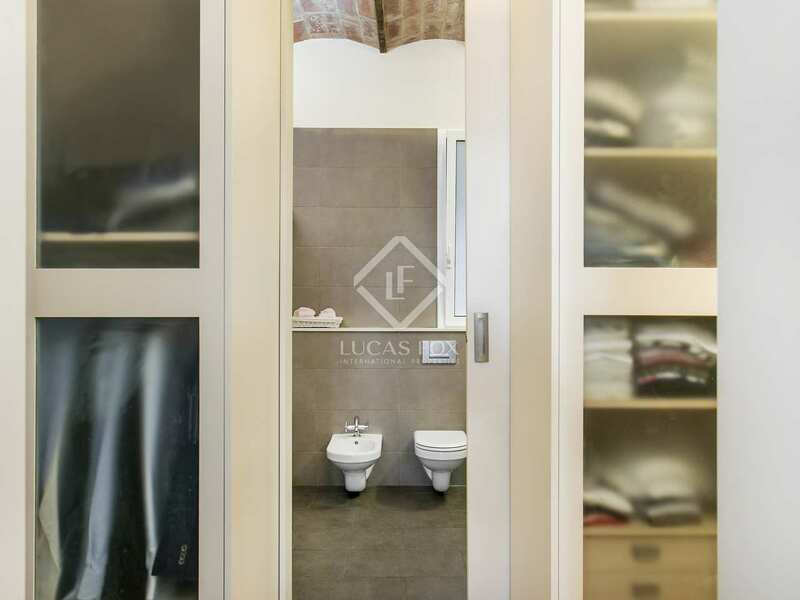 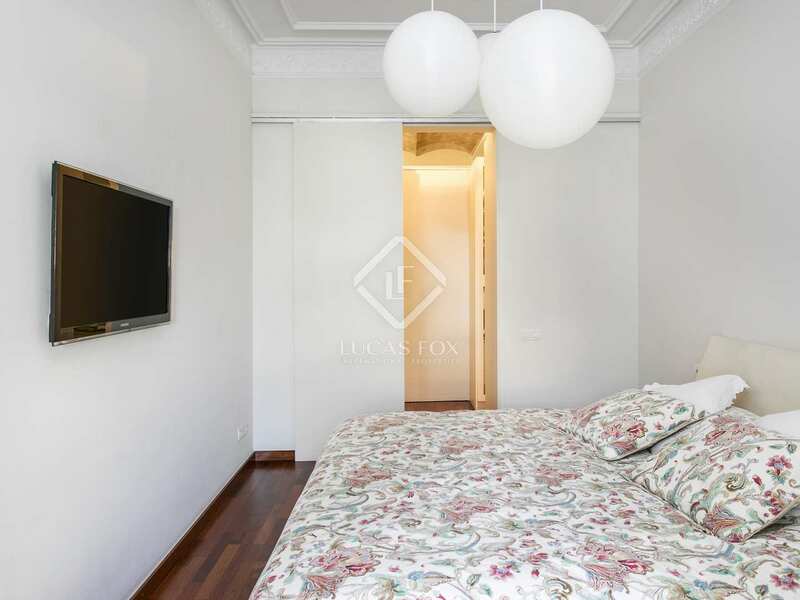 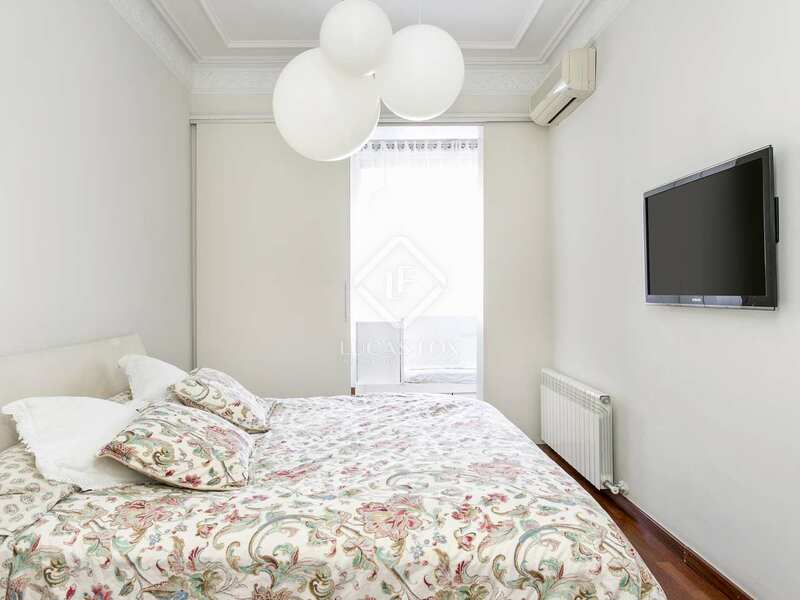 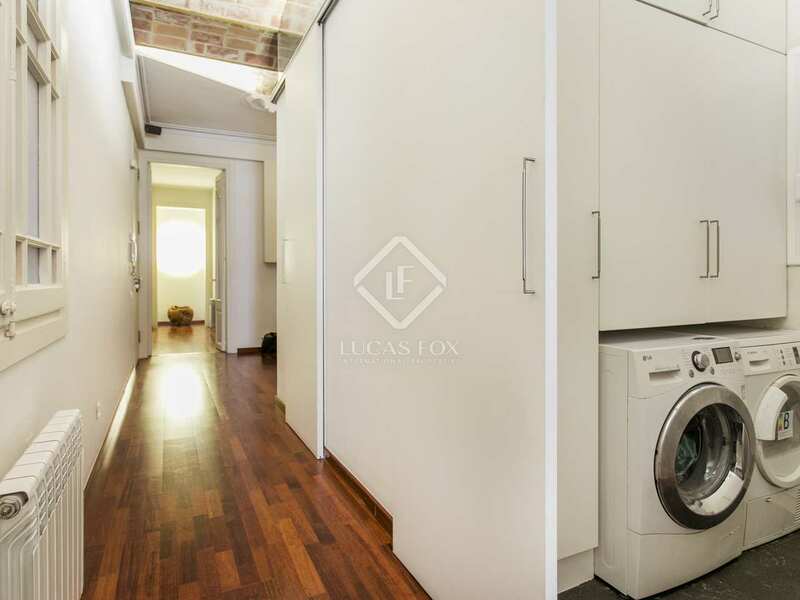 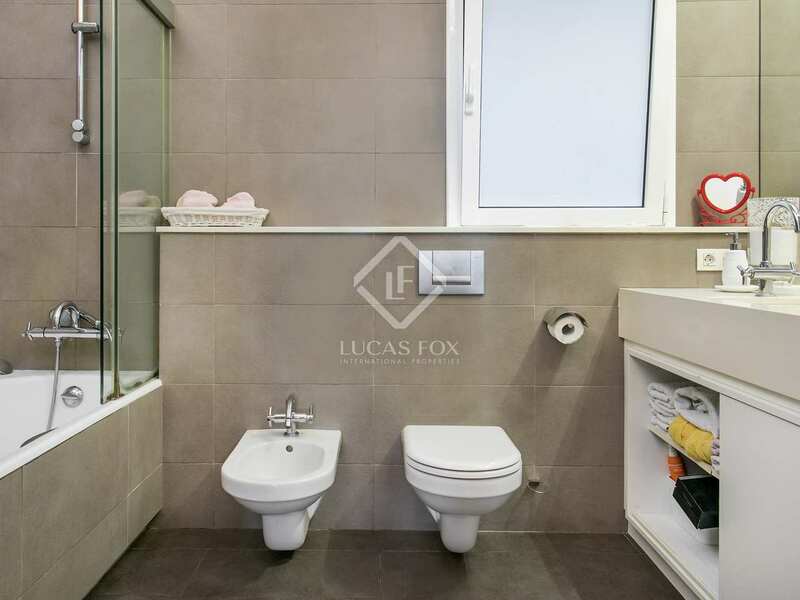 Just a few meters from Rambla de Catalunya and close to Diagonal, this apartment is very well located in Barcelona's sought after Eixample neighbourhood. 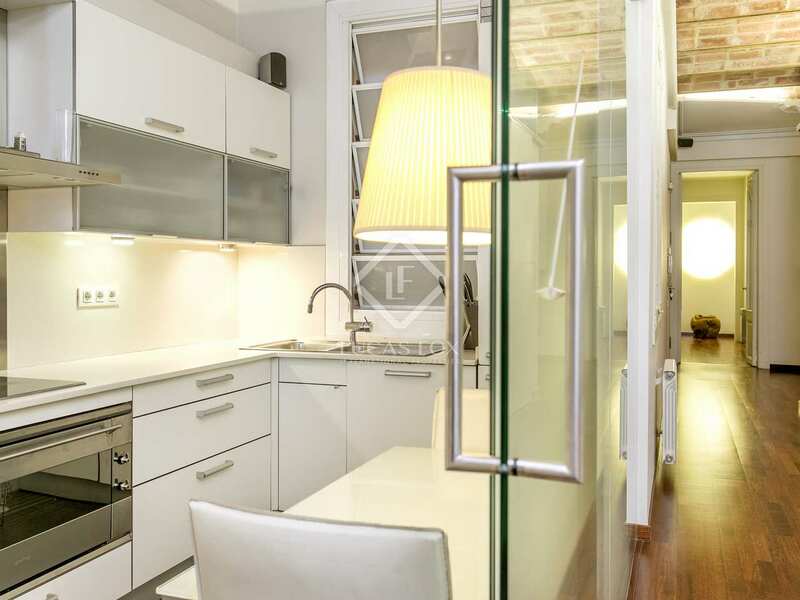 The area has an excellent commercial and gastronomic offering with a wide range of shops, restaurants and bars. 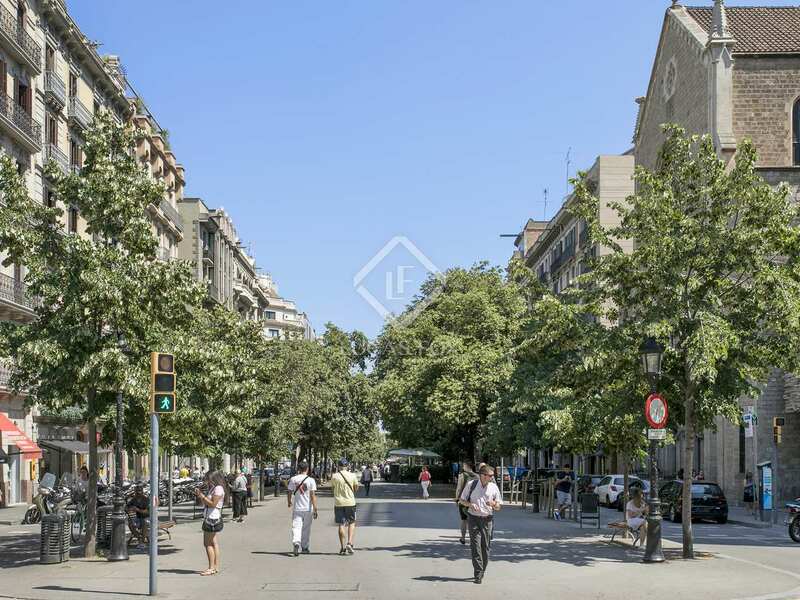 Public transport connects the area to the rest of the city. 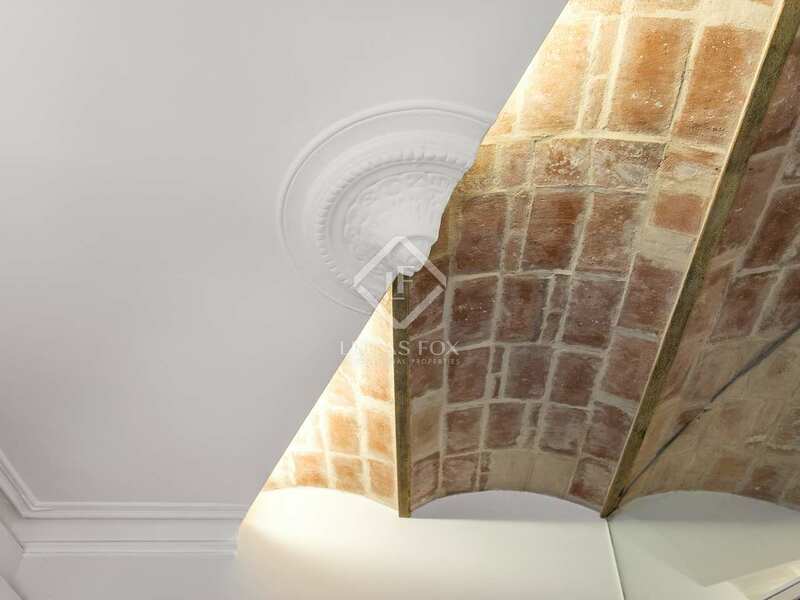 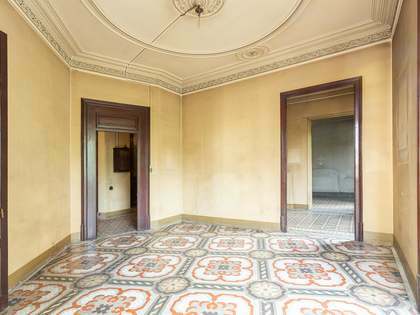 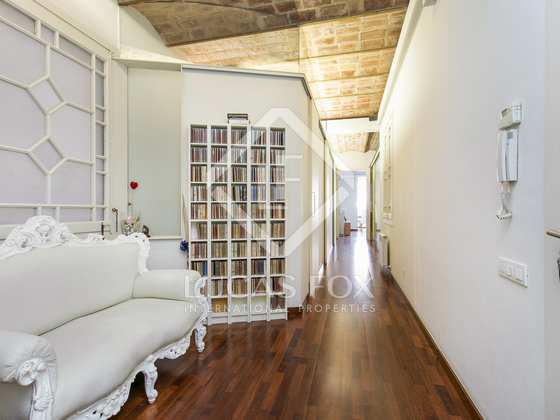 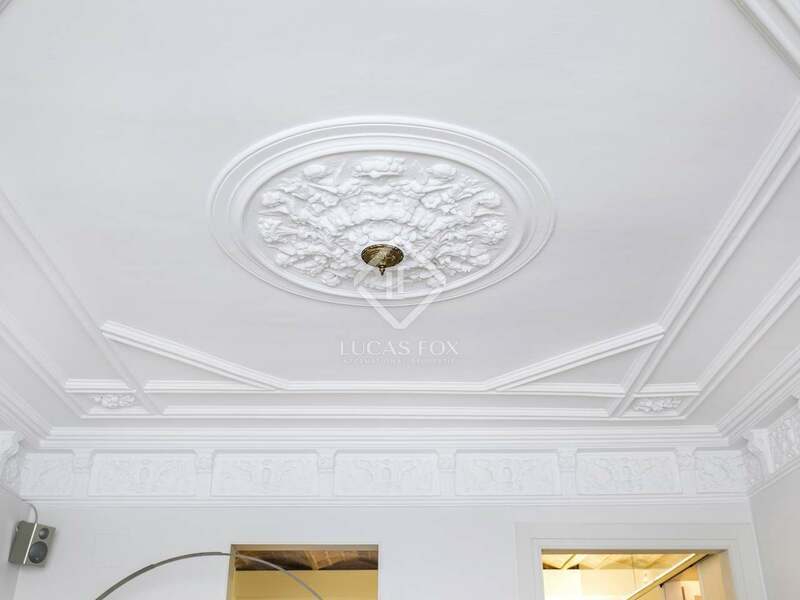 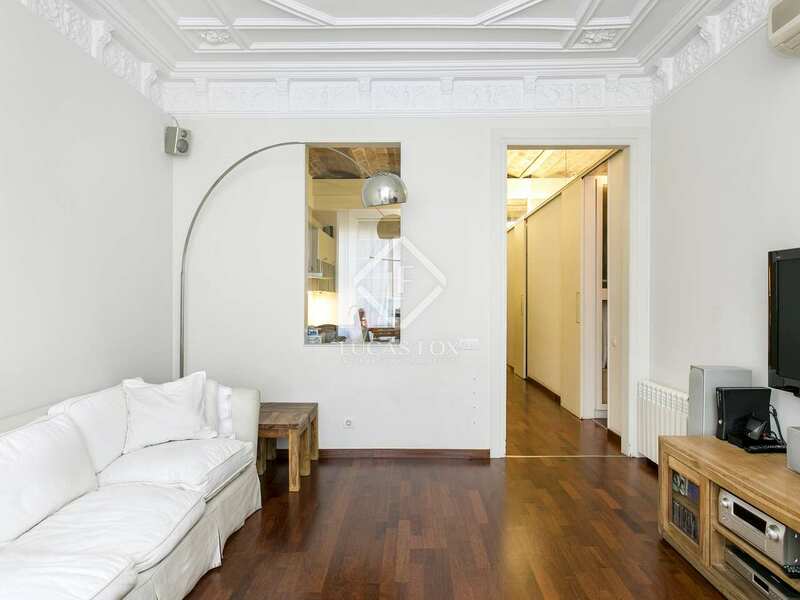 This 167m² apartment boasts high ceilings with decorative moulding which adds character. 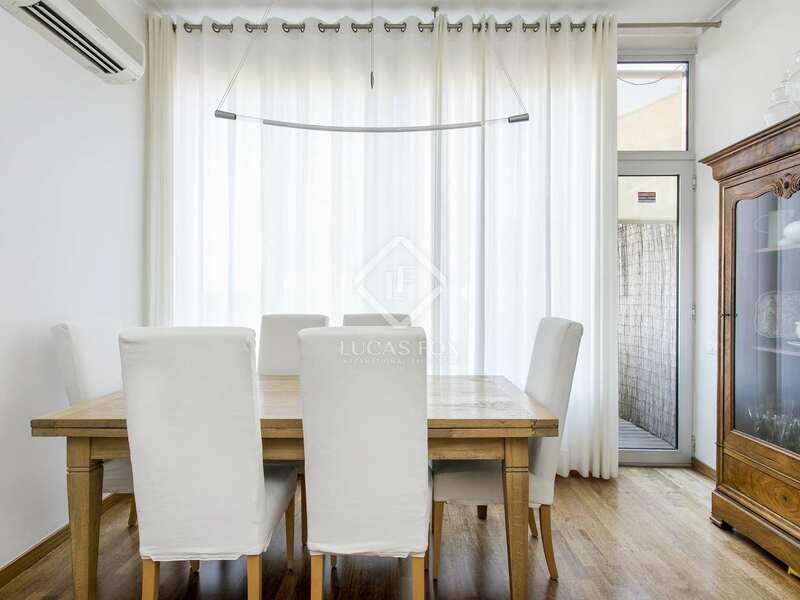 The living-dining area, with patio doors opening onto the terrace, is bright and spacious. 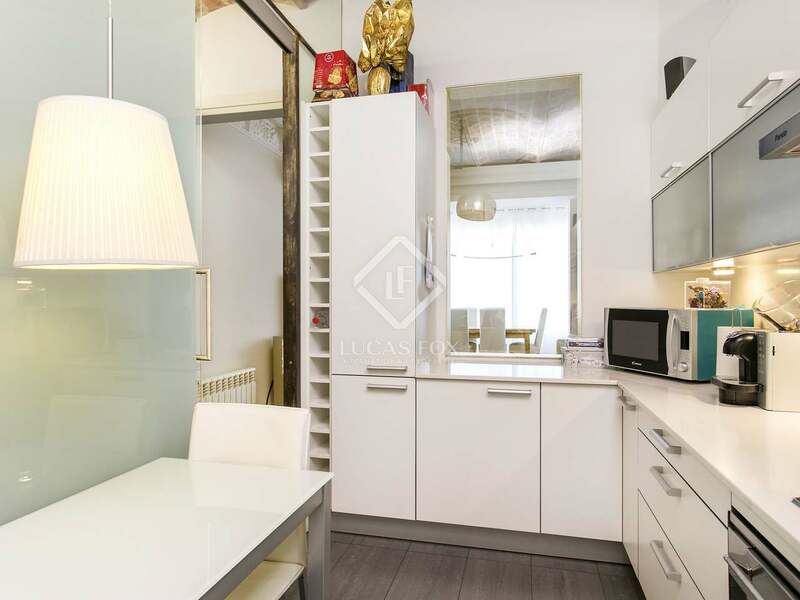 The kitchen is well-equipped and there is space for a small table ideal for informal dining. 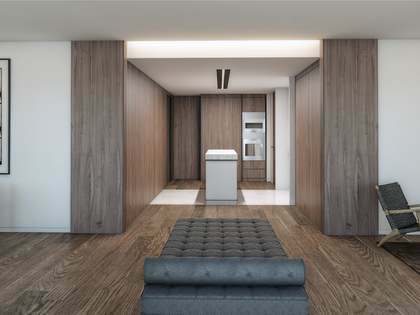 Sliding glass doors separate the kitchen from the living spaces. 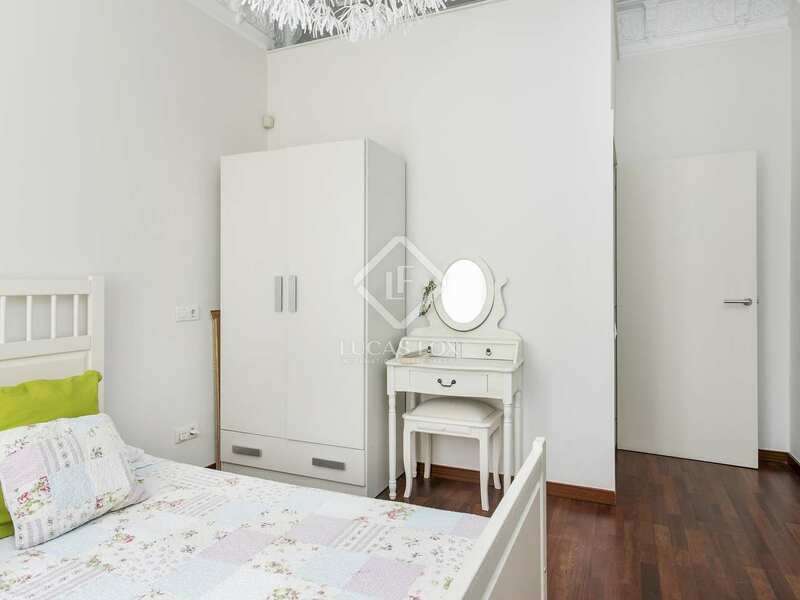 With 5 bedrooms, 2 of which are currently used as dressing rooms, the apartment would make an excellent family home in the city centre. 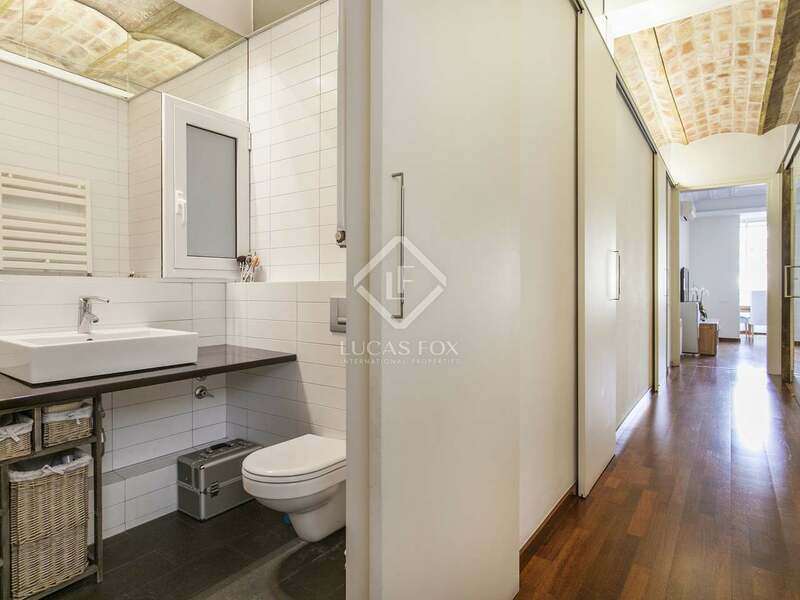 Two bathrooms and a toilet complete the apartment. 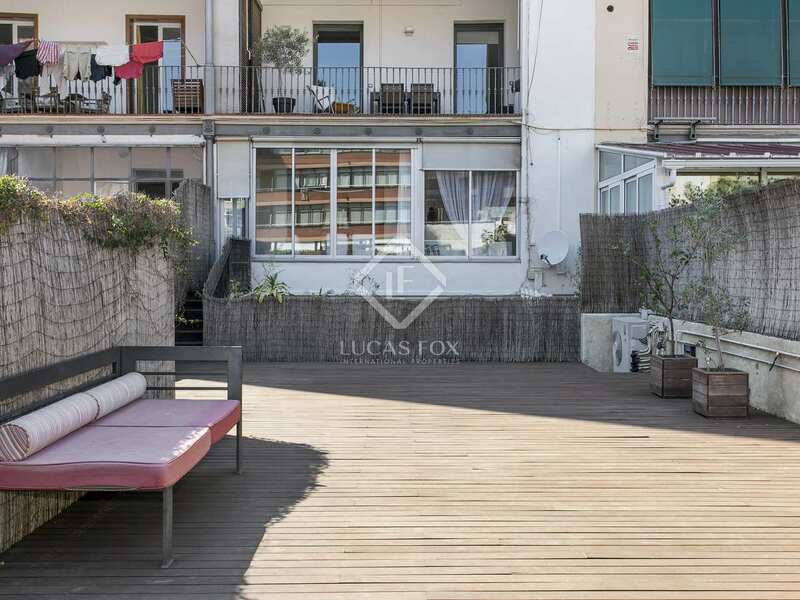 The highlight of this apartment is the spectacular 100m² terrace, a luxury in such a central location. 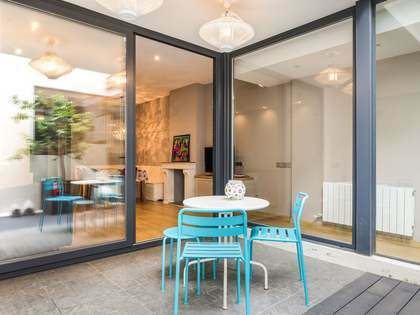 With space for outdoor dining and a chill out area it is the perfect space for entertaining and making the most of the enviable climate. 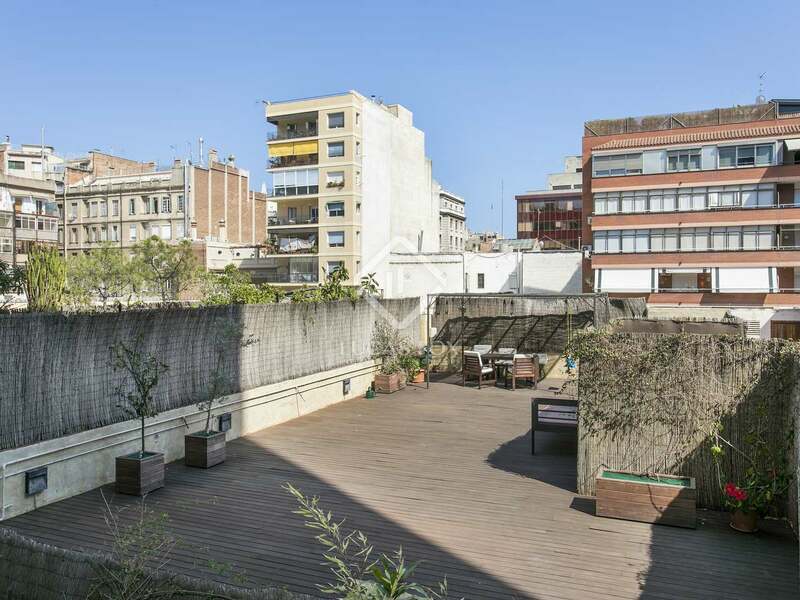 The ideal option for those seeking a generously sized apartment with outdoor space in the centre of Barcelona. 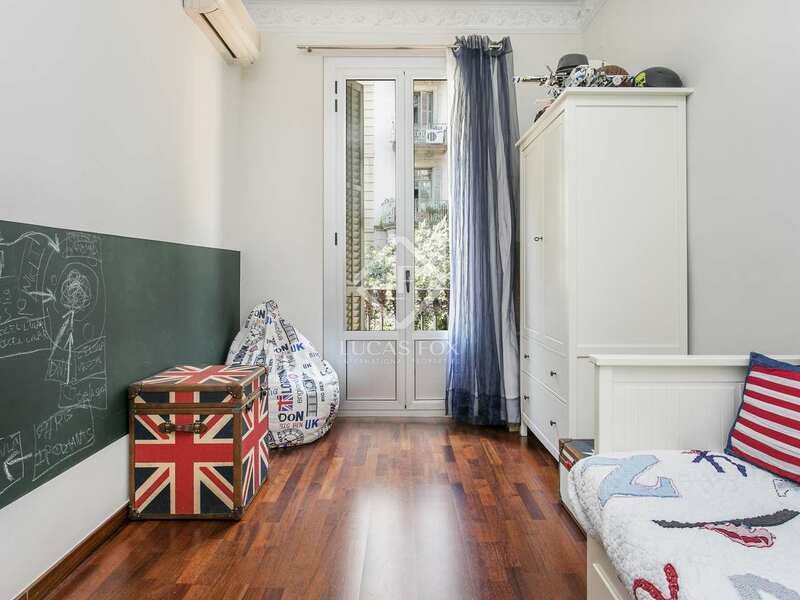 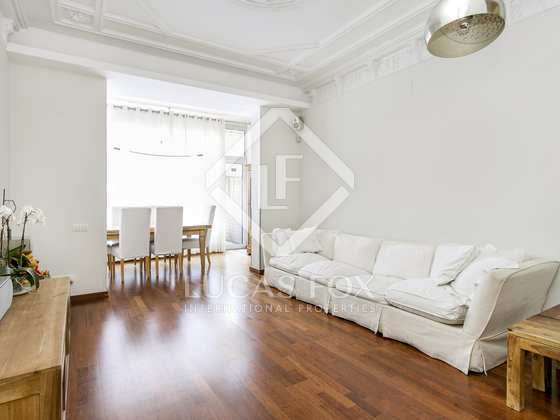 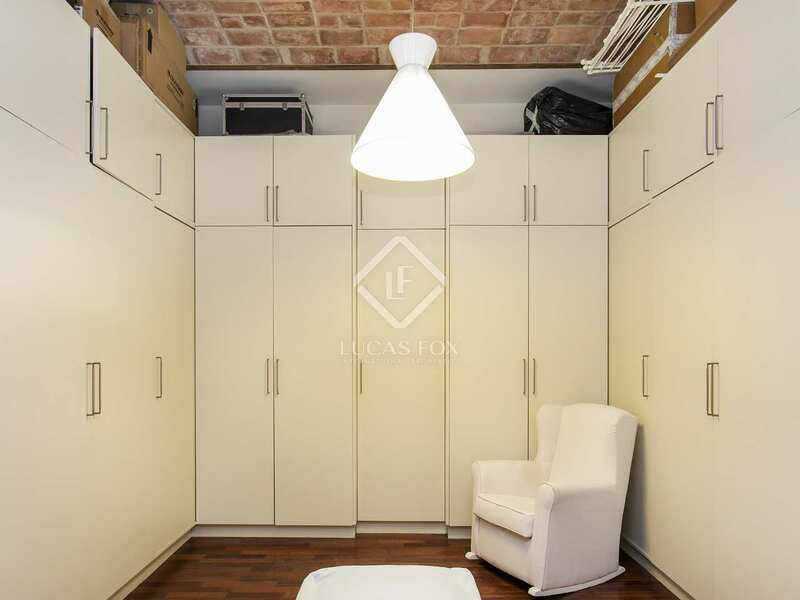 Apartment very well located in Barcelona's Eixample Right, meters from Rambla de Catalunya and Diagonal. 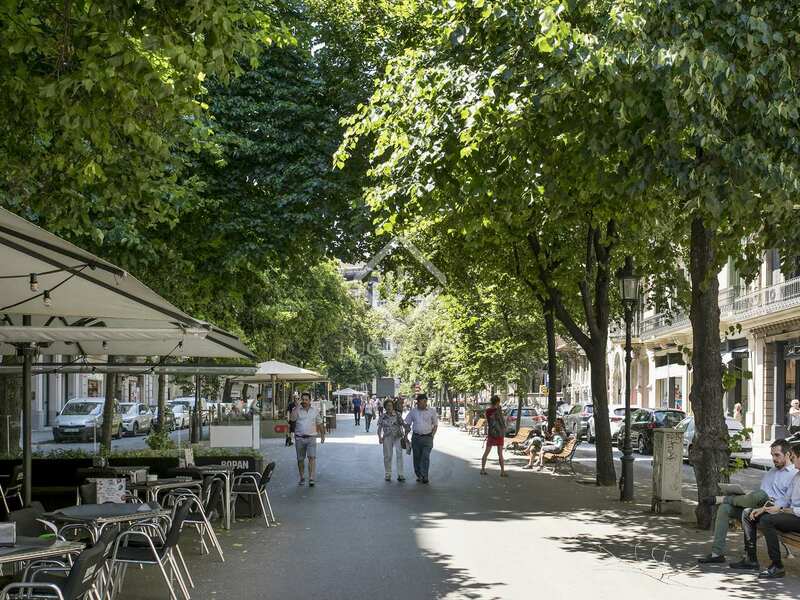 The area has a wide range of shops, restaurants bars and all services. 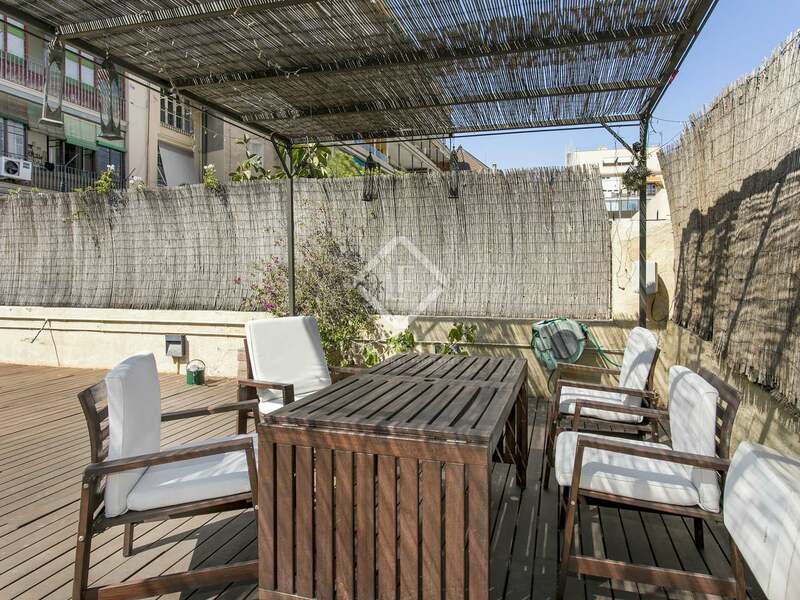 The area is very well connected to the rest of the city and the airport by public transport.